For this week’s assignment, there took a serious amount of thinking and planning on how to configure all three circuits that I created. 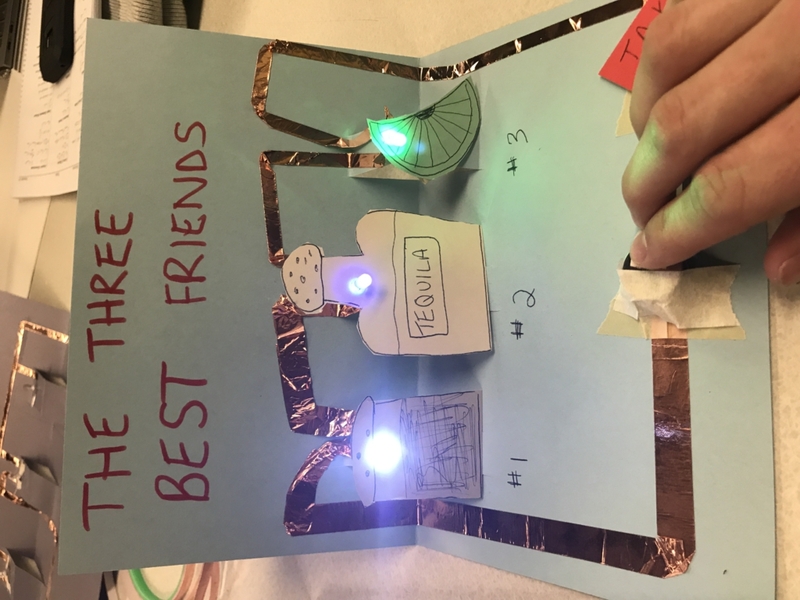 The first circuit we created was a one-dimensional with one LED circuit that was very successful on the first try. 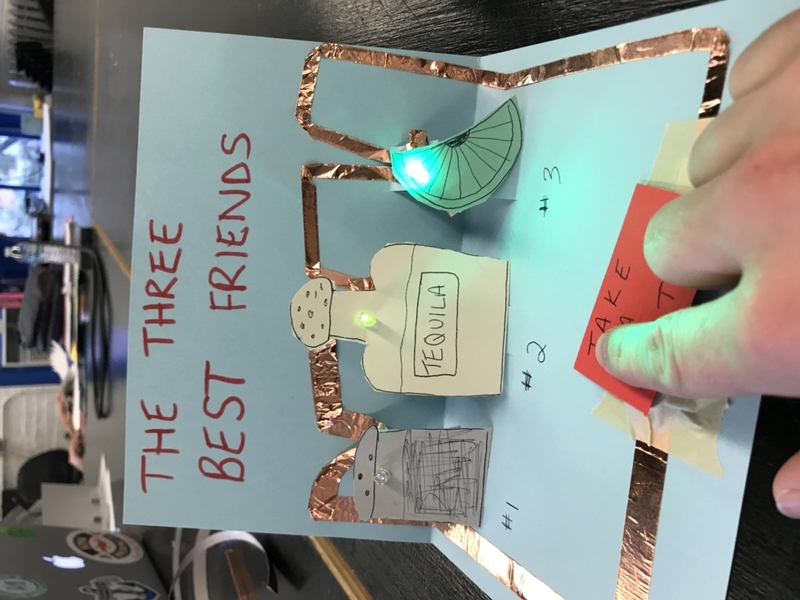 Paper circuit constructed in class with one LED, one switch, and one battery. 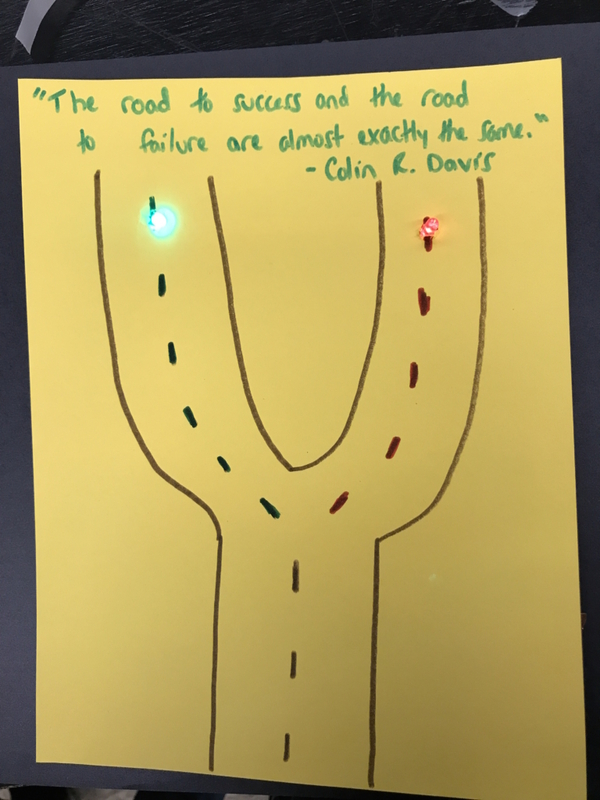 The next circuit we created was a circuit that incorporated more than one LED light and we had to incorporate a quote that was either provided for us or from our choice. The quote that I decided to use was “The road to success and the road to failure are almost exactly the same.” -Colin R. Davis. After some thinking, I decided to draw a fork in the road and have the roads be similar besides the colors which had green lines leading to a green light on one road. On the other road there were red lines and led to a red light at the end. 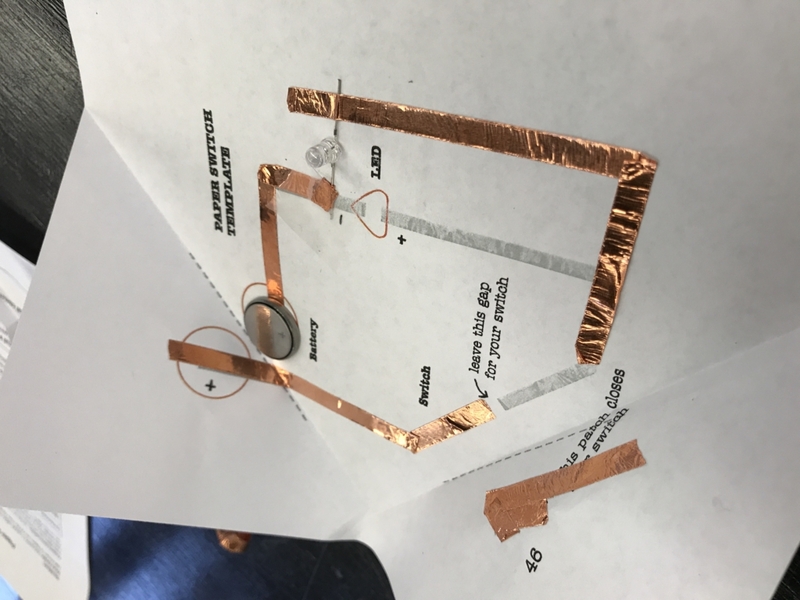 Quote paper circuit which was constructed in class as well. The final product was definitely the most difficult for myself and took 6+ hours to get all the pieces to finally work. 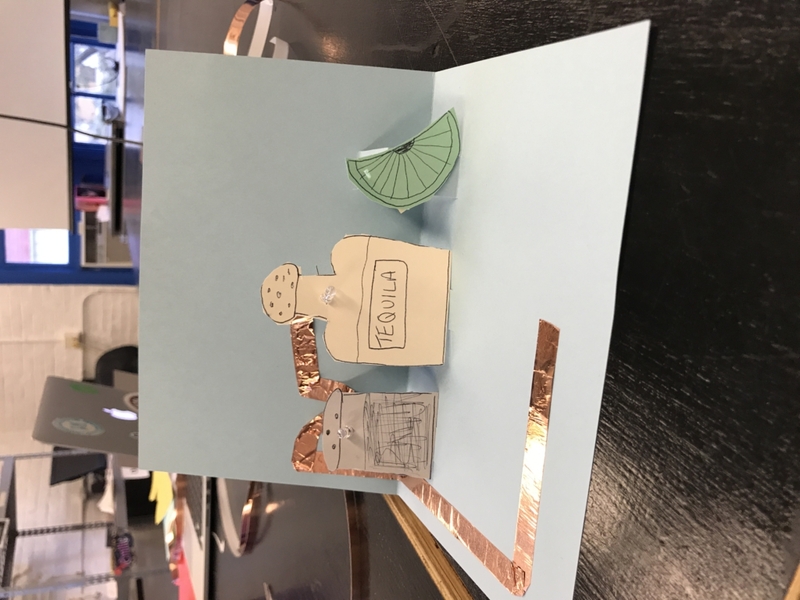 I decided to make a pop-up card of three images (Salt shaker, Bottle of Tequila, and a Lime wedge). I decided the switch to include a button that says “Take a Shot!” and the three shapes would light up when pressed. Pictured above is the progress of my final product… about halfway completed. I was finally able to complete my series circuit all the way around, however, ran into a problem that the three colors all did not light up. The yellow on the Tequila bottle and the green on the lime wedge lit up but the white on the salt shaker did not. Pictured above is the problem that I ran into where only 2 of the 3 lights worked. After receiving some assistance from the TAs and the other workers at the Fab Lab, I tested out the amps and voltage that I was using and decided the combination of white, yellow, and green would not work for me. I decided to change the yellow color in the middle to blue. I then ran into another problem because I had picked out a light that was too bright for the circuit. I changed the blue to a different type of blue and also added two more batteries to include 9 V.
After lots of hours of work and testing out what would or would not work, I finally got all three lights to work. Overall, this project was the most challenging one thus far this semester but I was able to learn a lot about electricity with myself being a Finance major and having a minimal amount of previous experience with this type of stuff. I will definitely use the knowledge I learned in this assignment for future endeavors like figuring out electricity in my own home to potentially save myself a lot of money. 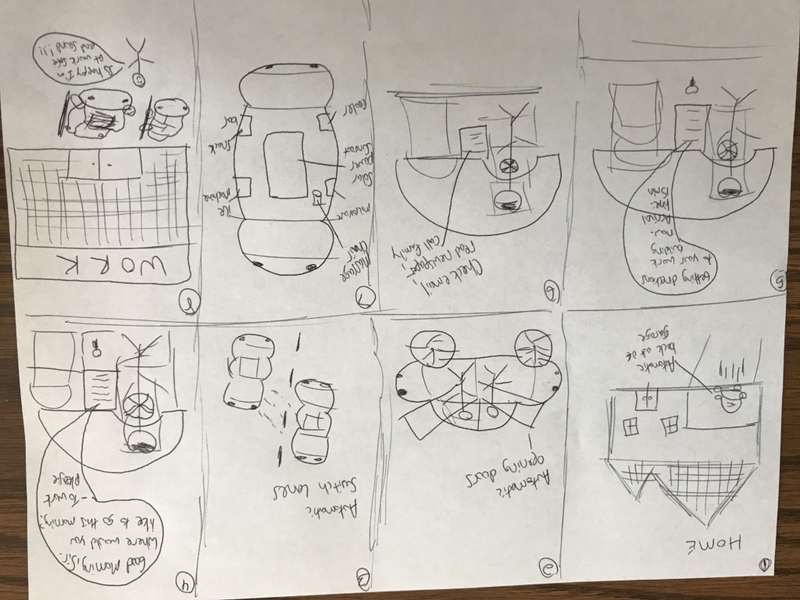 For my storyboard assignment, my group and I decided to talk about the interface for driverless cars. I decided to go down the route of the sequence of an individual going from home to their work without having to drive. The car was able to back out of the garage on its own, open the car doors, automatically switch lanes, and check the person’s email for them. The individual was also able to enjoy the perks of the car and have a massage chair among other things. Finally, they safely arrived at work and were able to continue on their day. Below is my drawing of the eight steps of how this was completed. Hope you enjoy! 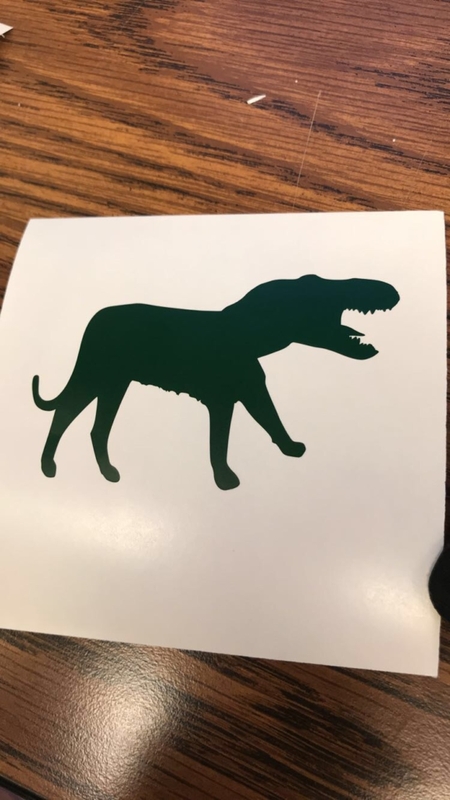 Over the first few weeks of this class, I was able to learn so much about Inkscape and how to use the software in order to develop my finished product. 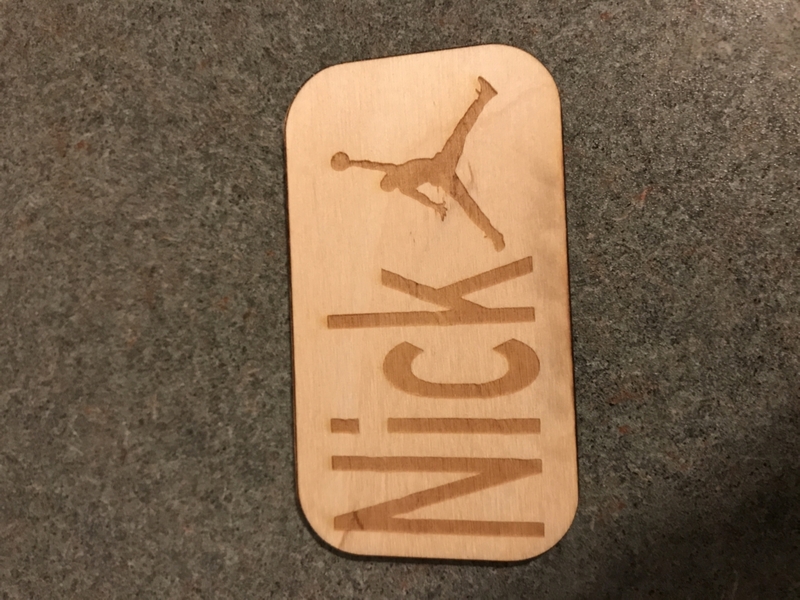 For the first name tag I created, I used wood and included the Michael Jordan logo to the right of my name. It was interesting to see how the curved edges on my name tag really added to its unique features for my first time using the software. Here is a visual of my name tag which was used as the “demo” for my discussion class. For my finished product, I wanted to create something that more defined me and used a different type of material. It was more challenging at first because instead of having my name tag be just a normal shape, I decided to have it be outlined as my favorite animal, a shark. 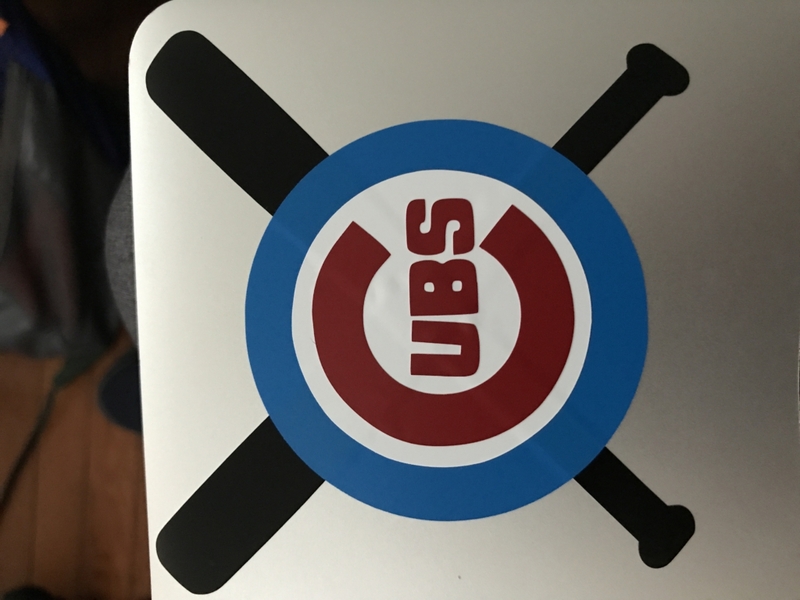 In addition, I was able to learn how the Epilog machine works differently when it is cutting word compared to acrylic material. Moving forward, I really feel that my knowledge of Inkscape and the Epilog machine can grow and develop the more and more I use these programs. I am very satisfied with how both of my name tags turned out, however, I wish that my shark was a little bit bigger. 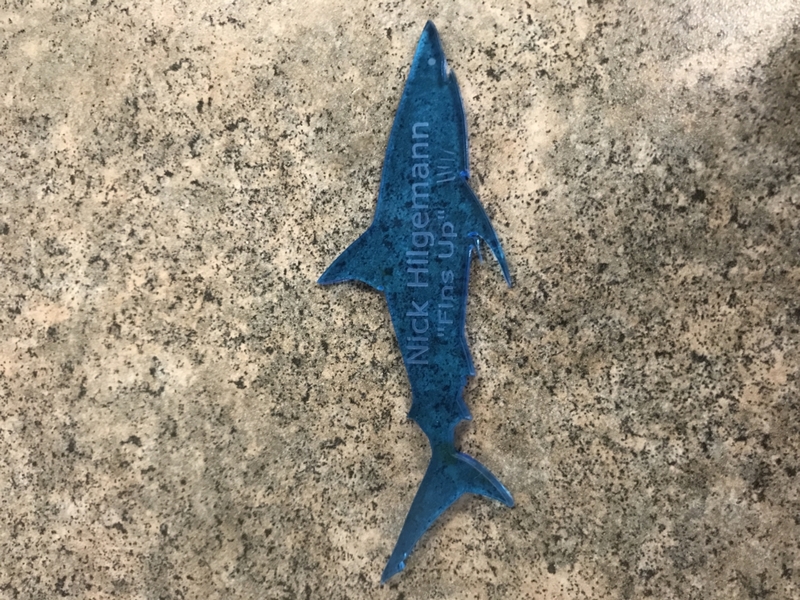 I do like how my shark name tag is blue and is transparent and will hopefully be able to use this name tag in the near future!